St-Hubert’s “Journee de Reve” is back this February! 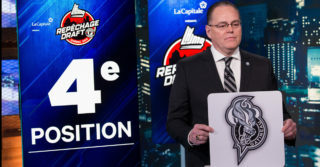 The Gatineau Olympiques, in collaboration with the St-Hubert Rotisseries, are offering an unforgettable opportunity to a minor hockey team from the area. On Saturday, February 23, a MAGH, Novice, or Atom team will have the opportunity to live one day in the life of the Olympiques. 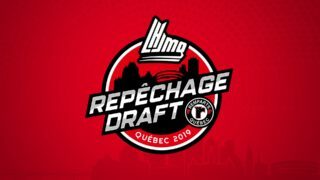 The contest will include a practice session with the team, a visit of the team’s locker-room, and a meal at St-Hubert afterwards. 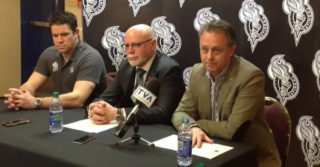 The winning team will also receive tickets to an Olympiques’ home game before the end of the 2018-19 regular season. To enter the contest, you’ll have to fill a coupon in one of the four (4) St-Hubert Restaurants of the area: Gatineau (357 Maloney), Hull (225 Maisonneuve), Aylmer (181 Principale), or Buckingham (97 Georges). The contest will start on Monday, January 28 and will end on Wednesday, February 13. The winning team will be drawn on Friday, February 15 live on our official Facebook Page.